These floors lamps bring contemporary and industrial style together with a touch of retro design to ensure this will be a focal point in any interior, from bedroom to living room and even kitchen / dining spaces. The black marble base means the design will vary offering a unique finish. 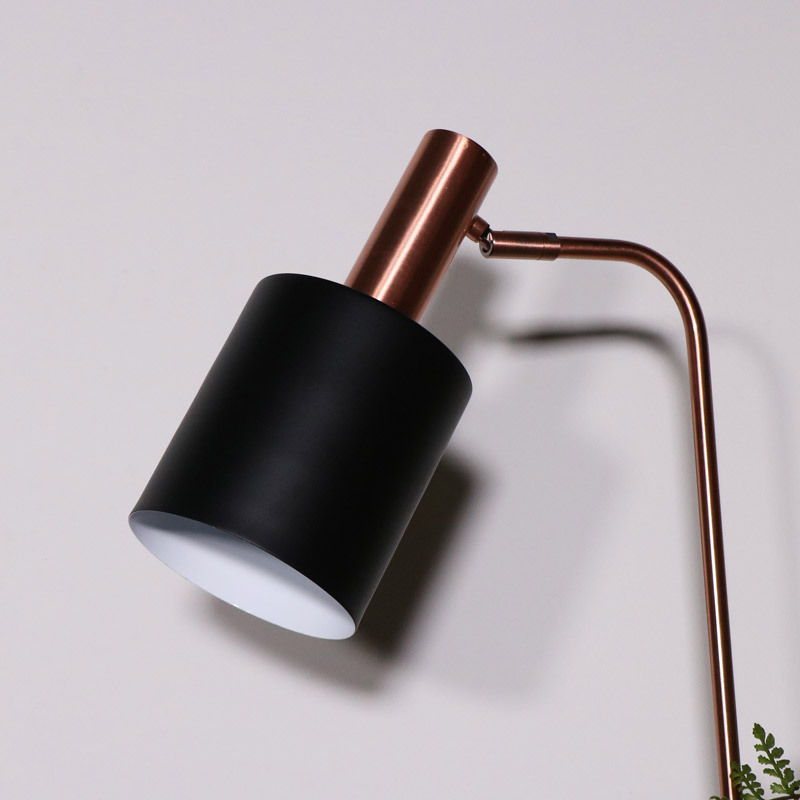 Fixed to the marble base is a slim copper coloured metal stand with a curved top connecting it to a movable head, you choose where the spot light should be! The metal cylinder shade is matt black and looks both simple and eye catching. 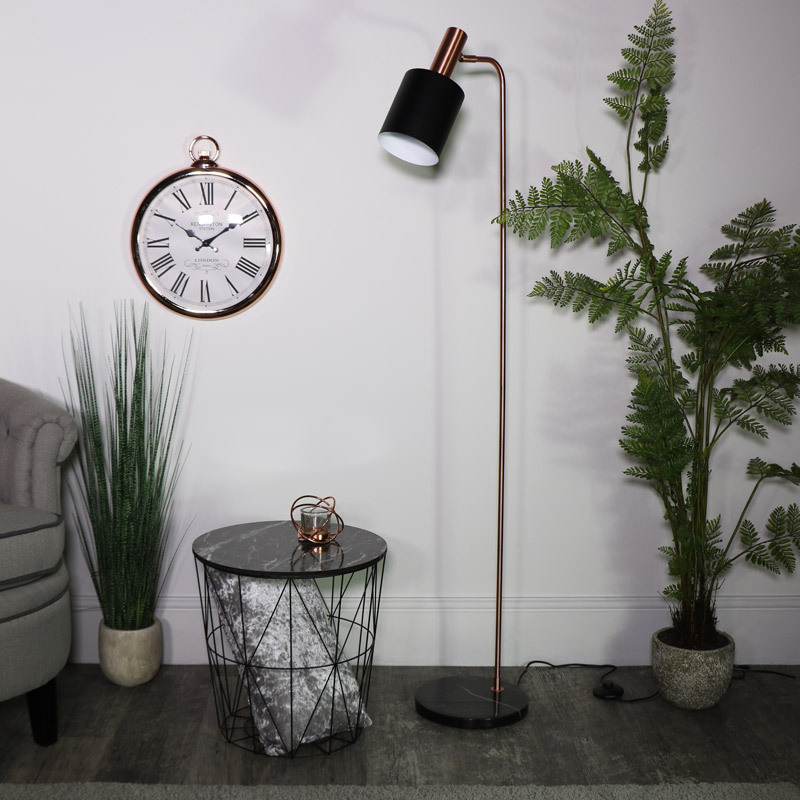 These floors lamps bring contemporary and industrial style together with a touch of retro design to ensure this will be a focal point in any interior, from bedroom to living room and even kitchen / dining spaces. The black marble base means the design will vary offering a unique finish. 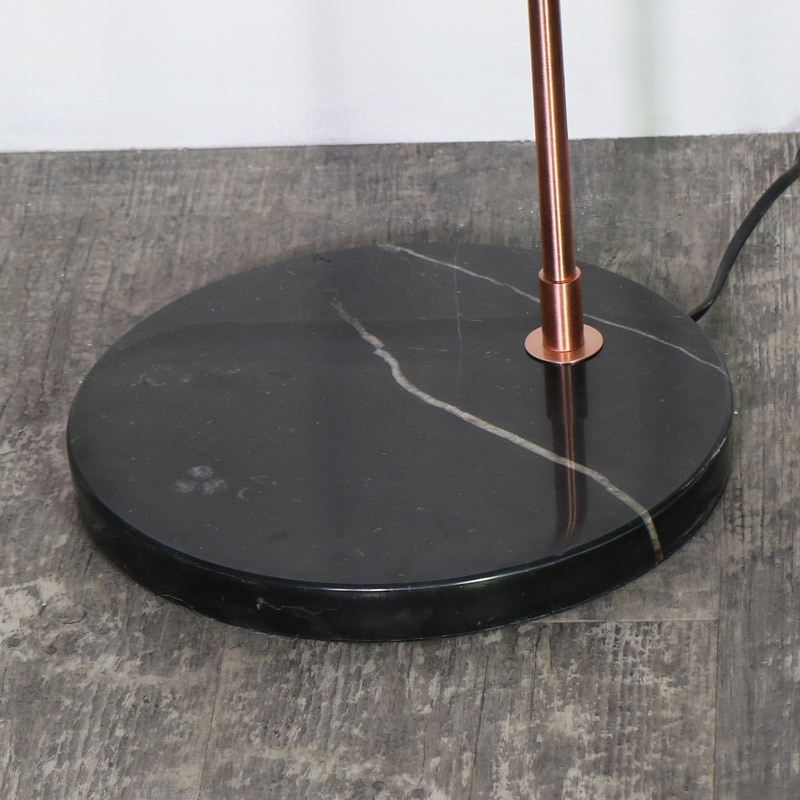 Fixed to the marble base is a slim copper coloured metal stand with a curved top connecting it to a movable head, you choose where the spot light should be! The metal cylinder shade is matt black and looks both simple and eye catching.